Start with your holiday package by choosing a guided tour package. It’s the best way to travel alone, with your partner or with the family because all the details are pre-planned for you. This is especially important if you are not keen on researching destinations yourself. The itinerary also ensures that everything is planned based on what you/ your family wants to see and experience. Below you will find a series of tips and information of great help to plan your trip, do not hesitate to contact us if you want more expansion of any topic. There’s no one time to visit Colombia since the country varies so much in landscape and weather patterns. Generally speaking the temperature does not vary much within the respective regions, just on rainfall levels. To best enjoy the country, aim for low season when fewer foreigners and nationals are travelling such as in the months of February, September and October. Running from June 15 to July 15 and December 15 to January 15 and including Easter week, all public holidays, festivals, ferias and carnivals. In the aforementioned dates most Colombians travel for their vacations and prices in some major tourist destinations (although not all) increase accordingly. 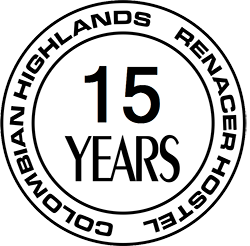 You are recommended to book in advance for accommodation, activities and transport. We strongly recommend that prior to coming to Colombia you consult with the experts at your local travel clinic to ensure that you have all the necessary and correct vaccinations. You should be up to date with routine vaccinations while traveling to any destination. Some vaccines may also be necessary to travel. The latest updates on vaccines can be obtained at your local clinic or hospital, consult your doctor and the official recommendations of your insurer and your government. Yes, there is a long running internal conflict in Colombia, this won’t be news to anyone and yes the conflict is still continuing along its destructive course. Most of the heavy fighting is restricted to the hinterlands, jungles and border areas. When you are abroad, call relatives / close friends to inform them that you have arrived safely and keep them informed of where you are. Money exchange should take place only in airports, hotels and currency exchange offices. Carry your passport and make sure you do not carry excessive money that might attract attention, it’s a good idea to not display cameras, jewelry or other valuable items that may attract attention while in public. Please keep a careful eye on your belongings, speak to the locals and the tourist police, and use common sense. Colombia is safer than many of its neighbours. If you want to try something local, make sure it is a recommendation from a reliable source. 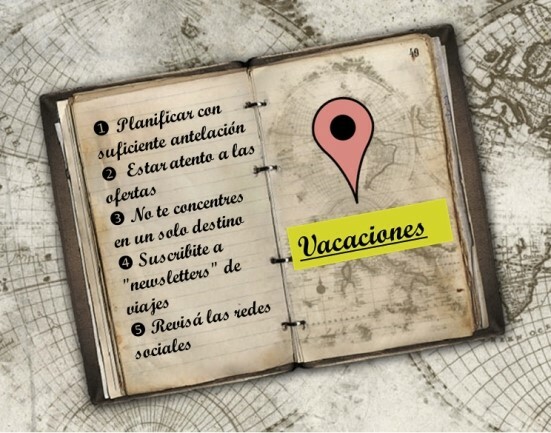 Ask at your hotel for local maps and identify the tourist information centers. In large cities avoid walking alone at night or in dark areas and beware of pickpockets whose modus operandi is to distract you. Also, if you drive, follow local traffic regulations and avoid driving at night. If you are going on a vacation by car, be sure to rent it from a recognized place and get a GPS. Keep track with the luggage requirements of the country you’re visiting in mind. Before your return flight, do confirm your flight details in case of delays or cancellations. It is best to ensure that you have all travel documents prepared and easily accessible for check in. The most appropriate piece of advice for anyone coming to Colombia is to steer well clear of any illegal drugs. Please remember that every Colombian family whether rich or poor has been affected by the fallout and violence from the drugs trade. And so, we are begging you to please consider that the consumption of cocaine in particular significantly damages Colombian society. Money spent on cocaine goes directly to support armed groups, fighting in Colombia’s internal conflict, leading to assassinations, kidnappings, massacres and one of the world’s largest refugee problems. Consuming cocaine means nothing less than having somebody’s blood on your hands….. Always ensure your tank is full and refill before it reaches quarter tank as it is not easy to find another petrol station nearby. You never know if you have gotten on the wrong track/trail or got lost. Pack enough liquids/water and snacks in the car as some stretches are long and do not have halfway stops. Plan some games, pack short story books or sing along rhymes if you travel with kids. Umbrellas are great in case there are light drizzles or rain. Be sure to make copies of your Passport, bring the appropriate plugs to recharge your camera and of course clothes to accommodate the varying regions and climates in Colombia. Water: In some of the main cities of the country located by the Andean mountain range, tap water is usually safe to drink. But as a precaution always ask a reliable source like the hostel where you will be staying. In other regions like the Caribbean, Pacific, Amazon, and OrinoquÍa water is not usually treated, always try to carry your own o potable water. Electricity: 110 Volts. Bring a power converter and 2 parallel flat prongs – US type. Tiping: Tips are voluntary, but many Colombians will be happy to receive a tip. Think that the basic salary in the country is too low and you can help them with some extra money. The base currency of Colombia is the Peso and it is easy to recognize with denominations of $1000, $2000, $5000, $10,000, $20,000 and $50,000 on bills and coins of $50, $100, $200, $500 and $1000 pesos. Feel it, turn it over and ensure legality. New Coins and notes, these will be in circulation at the same time as the country’s current coinage and notes. Colombian international code is 57. Each department in Colombia has an additional specific area code called “Indicativos”. Whether arriving by air, sea, river or land it’s easy to locate an affiliate of Colombian Hostels. Start your adventure with the latest and most up to date information by staying at a Colombian Hostels Associated Hostel. 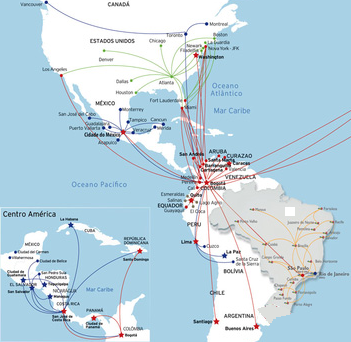 Major international Airports are located in Bogotá, Medellín, Cartagena and Cali. With many others cities, including Bucaramanga and Armenia, now also receiving international flights. The link between Central and South America via Colombia is for many the first port of call for foreigners arriving to this continent. A popular route into Colombia is by sea with a five day trip from Panamá via the San Blas islands and finishing in Cartagena. There is also a ferry from Colon, Panamá to Cartagena. Another option includes travelling by speed boat along the coast from Puerto Obadia (Panamá) via Capurgana (immigration) and then on to Turbo with connections to the rest of the country. Boats leave from Belén, Manaus (Brazil) and Iquitos (Peru) winding their way through the Amazon jungle and arrive at Leticia, Colombia’s most southern point. Cheap flights from Leticia link the Amazon to Bogotá and the rest of the country. Entering from the Venezuelan coast you travel through the border city of Maicao and into the Guajira region. From here regular buses leave for Valledupar and Santa Marta. If you’re further south you can enter Colombia from Merida via Cúcuta on the border. This is 6 hours by bus and regular buses then run from Cúcuta a further 5 hours to the city of Bucaramanga. Travelling from Ecuador you reach the Tulcan / Ipiales border in 6 hours from Quito. Here buses leave regularly to Pasto an 1 hour and half. In all major cities there are convenient easy forms of public transport such as taxis, buses and articulated buses. Flying between cities is convenient with Avianca, ADA, Copa, LAN, Satena and Viva Colombia offering various routes. Intercity buses are cheap and convenient and should be taken from official Transport Terminals. In Colombia be sure to be at the airport two hours for domestic flights and three hours for international flights. It is your responsibility to confirm with your insurance company as to what type of agreements it has with the healthcare providers, such as doctors and hospitals, in Colombia under your insurance plan before leaving for your trip. Please have the following forms of identifications on you: International health insurance coverage, Student ID, and Passport. It is mandatory to bring these documents with you for the tours. 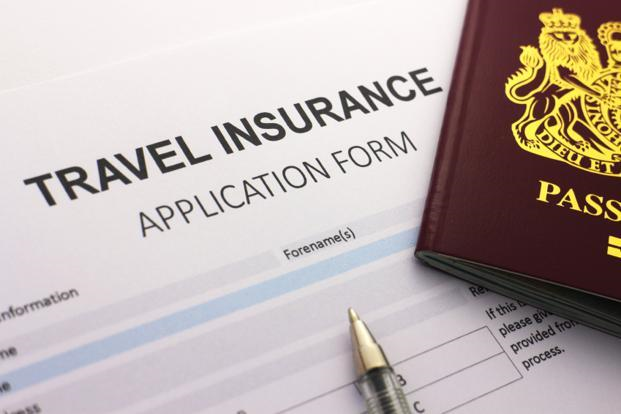 What sort of protection/coverage does a travel insurance covers you? In recent years Colombia has become a magnet for travelers coming to South America. With beautiful rainforests, mountains and beaches, lively cities and enchanting colonial towns, Colombia is not to be missed. Colombia is known for its well-educated, polite and friendly citizenry and for many visitors the highlight of their trip is conversing with locals and getting to see the country in a different light. Colombians are passionate about their country and want to you to enjoy it, willing to share bottle of aguardiente or teach a few salsa moves and always with a warm smile. Before the arrival of Europeans to South America, the territory that is now Colombia was inhabited by various different aboriginal peoples who left an important ancestral and cultural heritage. The first incursions and explorations here by Europeans were led by the Spaniard Alonso de Ojeda in 1499 who founded an ill-fated settlement in Uraba. In 1525 the first city in colonial Colombia was founded at Santa Marta followed in 1533 by Cartagena and then in 1538 Bacata (later renamed Bogota), the actual capital of the Muiscas confederation. at that time, was renamed to Bogotá. As part of the Spanish Empire Colombian lands were exploited in the search for gold, emeralds and salt and in order to fuel this insatiable consumption African slaves were introduced to till the land. 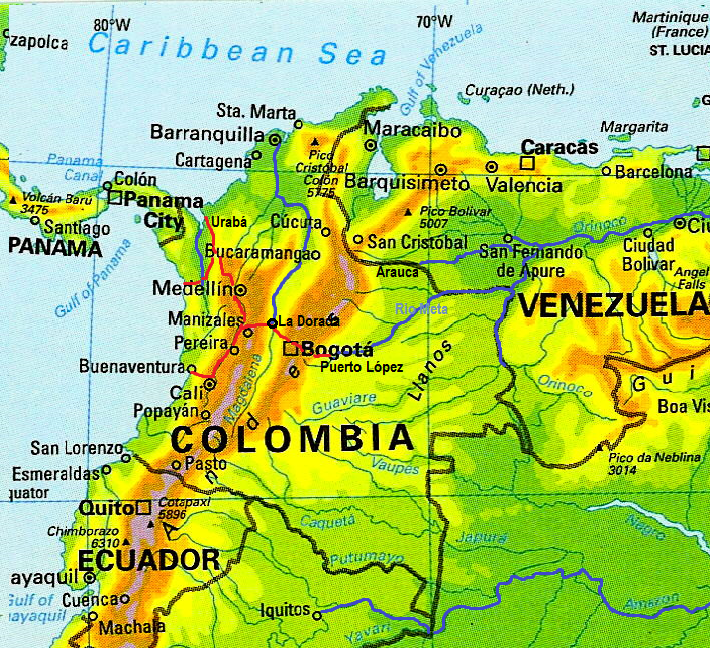 From 1740 the Spanish viceroyalty was established in Bogotá and controlled the vast swathe of land now divided between Colombia, Ecuador, Panamá and Venezuela. Winds of discontent and opposition to Spanish rule were evident from the Insurreccion de los Comuneros in 1781 and then on July 20, 1810 independence was declared although absolute independence was not achieved until 1819 after the Liberator of Northern South America Simon Bolivar, triumphed at the Battle of Boyacá. The Republica de La Gran Colombia was declared and in 1826 the remnants of the Spanish crown were expelled for good. Simon Bolivar and his longtime ally Francisco de Paula Santander could not agree between Bolivar’s centralized politics and Santander’s desires for a Federalized state creating conflict between liberals and conservatives and leading to a civil war between 1840-1842. Between 1899 and 1903, Colombia was once again at war with itself in the Guerra de los Mil Dias. While Colombia’s economy improved in the early years of the 20th Century, Colombia was made to recognize Panama’s independence in 1914 for a one off payment of U$25 million from the United States. In 1930 for the first time since 1886 the Conservatives were no longer in power. Heralding a new era of bloodshed, on April 9 1948 liberal candidate Jorge Eliecer Gaitan was assassinated in Bogota sparking citywide riots now referred to as the Bogotazo. The dictatorship of Gustavo Rojas Pinilla from 1953-1957 and was followed by a hegemonic decision to alternate power between Conservatives and Liberals. In 1964 the largest most powerful of the Guerrilla groups, the FARC was formed and over the past 5 decades has been fighting the state. Left wing guerrilla groups such as the FARC, ELN and M19 and rightwing paramilitary groups such as the AUC divvied up lucrative coca producing areas and almost led to Colombia being declared a failed state. Hardline conservative policies of former President Alvaro Uribe put paid to peace talks hosted by his predecessor President Andres Pastrana. Winning the elections by a vast majority in 2010 Juan Manuel Santos is the current president of Colombia, a nation now numbering more than 46 million people. Spanning a total area of 1,141,748 sq. km Colombia is defined by its topographical variations and its multi-faceted climatic regions which are both its greatest asset and most formidable impediment to growth and which reach the dizzying heights of 5,775m at the Pico Cristobal Colon on the Caribbean’s Sierra Nevada. Situated on the northwestern shoulder of South America, Colombia is divided as if adjacently through its territory by the Andes mountain range and enjoys almost 3.000km of coastline almost equally shared between its Caribbean and Pacific edges. The country’s lungs come in the form of departments such as Amazonas, Caquetá and Putumayo, recognized for their vast tropical jungles. In Colombia you can find deserts such as the Tatacoa in Huila and the Guajira, savannahs and grasslands in the Llanos of Meta and Arauca, tropical islands in the form of San Andrés, Providencia and Gorgona, highland plateaus in Cundinamarca and Boyacá and such anomalies as the department of Chocó, the wettest region on earth. Colombia is a country rich in mineral wealth producing oil, gas, coal, precious metals and the most famous emeralds in the world. For its natural richness, Colombia is considered to be one of the most mega-diverse countries in the world. The geological land formation of Colombia is the result of series of geological events and conditions, such us, being coupled with Central and North Americas through the Panamá Isthmus, the Colombian Andes Mountain, which splits off into three mountain ranges, as well as the influence of the Atlantic and the Pacific oceans and the tropical location of the country. All of these events have determined the formation of areas with characteristics of isolation and specific climates, which in addition to the evolutionary history of each species have originated different life forms (speciation). Colombia ranks first in the world for having species of birds (1885) and amphibians (763), second in plants (41000), third in reptiles (524) and fourth in mammals (479); and it is a country with almost 2000 other unique species (endemic). Its ecosystem diversity is amazing and can be divided into 5 big regions. The Colombian Andes comprises high mountain ecosystems that include glaciers at 5.000 m.a.s.l. the famous Páramos, dwarf forests, mist forests, high planes with inter-Andean valleys and the most dense forest in the Andean foothills. The three mountain ranges generate a series of microclimates that produce dry and wet areas with very diverse flora and fauna. Another area of great interest in Colombia is the Biogeographic region of Chocó that stretches from the its boundary with Panama all the way to the country of Equator and from the west slope of the west chain all the way to the pacific coast. It is one of the wettest regions in the world (9,000 mm per year) and its rainforest is also considered the most exuberant and impenetrable. Experts affirm that this area has the highest diversity per square kilometer on the planet. Each year the Pacific coast of Colombia is visited by different species of whales. The peninsula of La Guajira in the northeast part of the Caribbean cost is a true desert ecosystem, where it is amazing to see the incredible adaptations of tropical species to extreme conditions. But a small mountain is enough to trap moisture in the air to create a unique oasis like the National Park Serranía de Macuira. A little bit towards the south, is located the world’s highest seaside mountain Sierra Nevada of Santa Marta with its impressive 5,775 m.a.s.l. This mountain generates all altitudinal ranges that attract a high diversity of birds. To the east lies the Great Plains region with the same characteristics of the African savannas and where species from the Amazon have adapted to the open habitats. It has diverse landscapes from huge river flooded areas to gallery forests and small-forested hills with diverse life forms. And finally, the southern part of the country has the magical Amazon rainforest, an unexplored and pristine area full of life in all its forms and colors, with rivers where freshwater dolphins and manatees generate myths and legends from its aboriginal dwellers. And where the Tepuis, which are the result of the influence of the Guiana shield, create boundless imagination to a lost world. The ecological richness of Colombia translates into a variety of unique landscapes that definitely boost incomparable ecotourism in the region. Colombia’s climate varies greatly from region to region. Chilier with piercing sunlight on high altitude plateaus to suffocating humid at times on the Caribbean coast all the while pleasantly uniform in the Eje Cafetero. In reality the temperatures in each respective region don’t fluctuate too much, the only change is in rainfall. There are technically two seasons, rainy season and dry season and these vary throughout the country. Plan and pack accordingly for your trip. Colombia’s population is mainly distributed along the cordilleras and onto the Caribbean coast and is now in the region of 46 million. This figure is expected to exceed 50 million by 2015. The majority of the population is of mestizo or European descent and the rest are made up of people of African and Amerindian descent. Colombia is a country possessing incredibly strong regional identities that have been created by the historical isolation of one area from another and in turn accentuated by waves of varied immigration into the country. This said there’s a feast of regional identities ranging from the Caribbean to the Andean, Llanero, Paisa and Chocoano. United Nations Educational, Scientific and Cultural Organization (Unesco) has made 14 declarations of World Heritage between the cultural, nature and intangible patrimony in Colombia. And one of the last declaration was the Coffee Cultural Landscape (Coffee Triangle) covering the departments of Caldas, Quindío and Risaralda. Boyacá: Villa de Leyva. Monguí. Iza. Santander: Barichara. San Juan de Girón. Norte de Santander: Santander Playa de Belén. Antioquia: Santa Fe de Antioquia. Jardín. Jericó. Valle del Cauca: Guadalajara de Buga. Bolívar: Santa Cruz de Mompós. Córdoba: Santa Cruz de Lorica. Many hotels are making great strides towards becoming more ecofriendly. Please ask hotels about how you too can help to promote an eco-friendly environment and participate as much as possible. Bring a reusable water bottle with you instead of buying bottled water. Fill up empty containers with soap, shampoo, etc. instead of buying tiny travel-size bottles. Take reusable grocery shopping bags with you. Familiarize yourself with which kinds of insects are beneficial to the environment and which are truly pests. Print as little as possible (booking confirmations, tourist information, etc). Support local economies and the environment by buying local goods and produce. In natural areas, follow the maxim “take nothing but photos and leave nothing but footprints”. Don’t support illegal wildlife trafficking. Don’t pay to play or buy exotic animals. When hiking, stay only on marked tracks to avoid destroying vegetation. Take everything out that you brought with you. No graffiti, no litter. When you leave the room, turn off the air-conditioning, heat, television, lights and other electric/electronic devices. Take quick showers and reuse your towels & sheets as much as possible during your stay. Place recyclables in their appropriate bins. Take only the brochures or maps that are necessary for your use and return others. 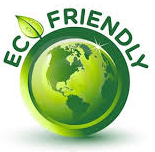 Make recommendations on best practice to the hostel management on how to become more eco-friendly. Due to the country’s landscape, nature, and culture, Colombia is commonly known as “World in one country”. While the official language of Colombia is Spanish did you know that there are more than 60 aboriginal languages in use today. The Muisca people oversaw a territory roughly equivalent to the size of Switzerland and they founded 65 cities, amongst those were Bacata (Bogotá) and Hunza (Tunja). The major part of cities and villages had already been founded by the natives before the Spanish arrival. The Muiscas were comparable to the Mayas, Aztecs and Incas, in structure, cultural cohesion and territorial dominance. 50% of Colombian territory is divided between the Atlantic and Pacific oceans, forming abundant marine ecosystems, and also has prominent islands such as San Andrés, Providencia, Gorgona and Malpelo. Colombia does not have any particular season, which is solely due to the fact that it lies close to the equator. Colombia enjoys sunlight all through the year. You can experience the tropical heat on the coasts or even the snowfall in the mountainous areas. The “Chicamocha” canyon is considered to be one of the largest in the world with 108.000 hectares in area and 2.000 meters deep. Quindío’s wax palm (Ceroxylon quindiuense spp.) 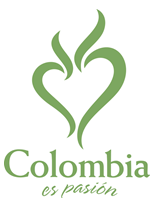 is the national tree of Colombian. It is the tallest specie in the world reaching 40-60m in heights, which grows in the Andes at the altitude of nearly 2.800 m.a.s.l. 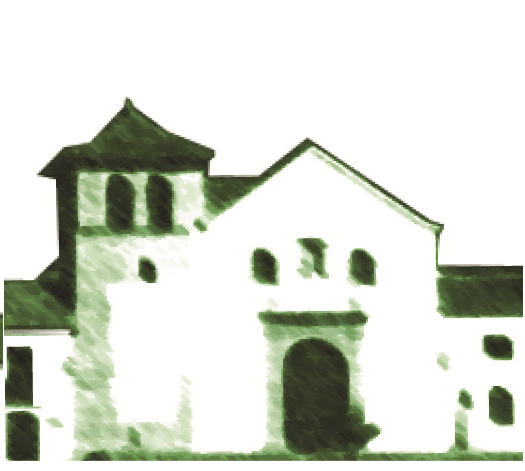 In 1510, the Europeans established the first settlement in America’s continent and call it “Santa Maria La Antigua del Darién”. Santa Marta, founded by the Spanish in 1525, is considered to be the first permanent settlement in Colombia. In 1881, Colombia commissioned an engineer Ferdinan de Lesseps, famous for building “el Canal del Suez”, to start the construction of Panama’s dike (Canal de Panamá). Under pressure from USA, Colombia lost its the dominion of Panamá’s Department, and the Roosevelt’s phrase “I took Panama” becomes famous. In 1855, Colombia signed a contract with Panamá Railroad Company to build the first interoceanic train in the world. A 79,65 kilometers long railroad track connecting the Pacific and Atlantic Oceans. 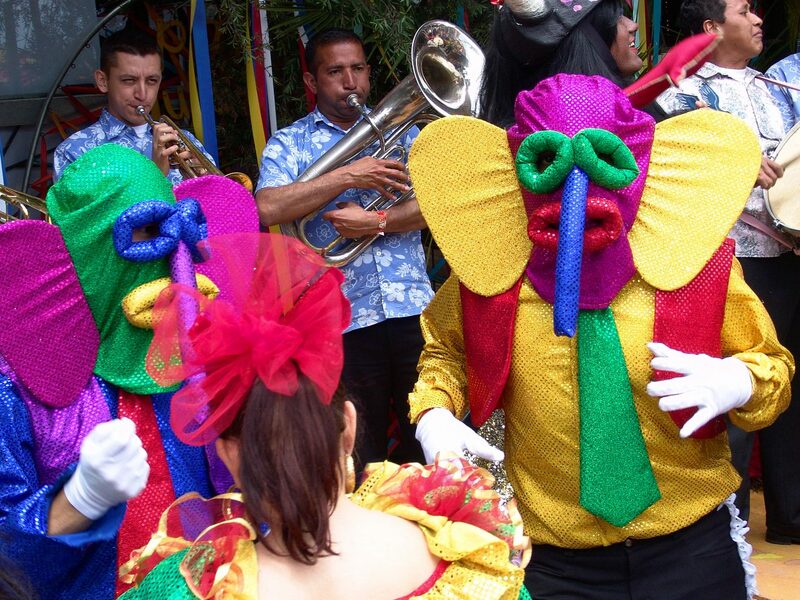 The Barranquilla Carnival is considered as one of the most important carnivals in the world and is a World Heritage event. Unesco has made 14 declarations of World Heritage between the cultural, nature and immaterial patrimony in Colombia. And one of the last declarations was the Coffee Cultural Landscape (Coffee Triangle). Colombian national treasure and literary hero, Gabriel Garcia Marquez won the Nobel Prize for Literature in 1982. The national airline Avianca was founded in 1919 and was the first commercial airline in the Americas and second in the world only to KLM founded two months previously. Colombia is Latin America’s fourth biggest oil exporter.